Remember the Nexus 5 design from here? Well, the designer behind it, Derek Kopet has decided to update it, considering all the comments received on this device. The handset still goes for $299 (supposed price tag) and it’s still made by LG supposedly. This Nexus 5 concept features 4G LTE connectivity, an edge to edge 5 inch IPS HD display and a Qualcomm Snapdragon 800 CPU. There’s also a front speaker in there and that trademark notification light at the bottom. The smartphone integrates a 13 megapixel camera, 3 GB of RAM and a 3140 mAh battery, as well. Compared to the design from March, this Nexus 5 is a bit more elongated and seems to have a more proeminent metal edge. I guess that this model made by LG runs either Android 4.3 or Android 5.0 Key Lime Pie. 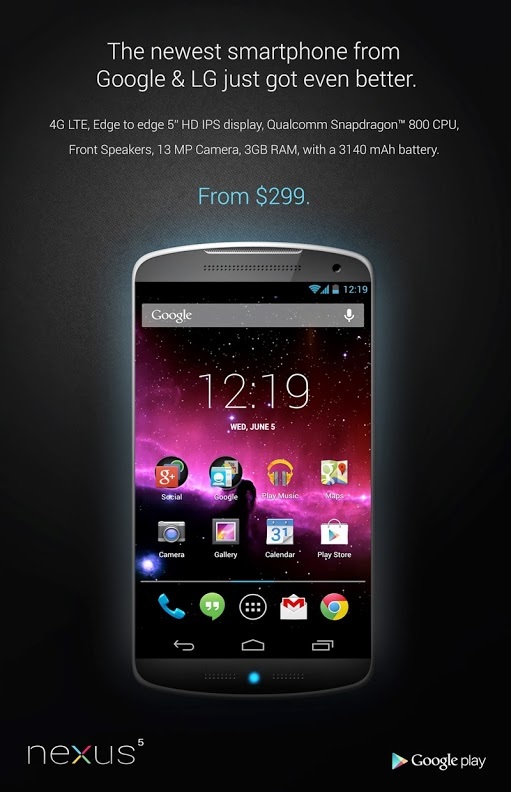 So, do you think this model is changed enough compared to the Nexus 4?